POWER THROUGH UNTIL THE JOB IS DONE. 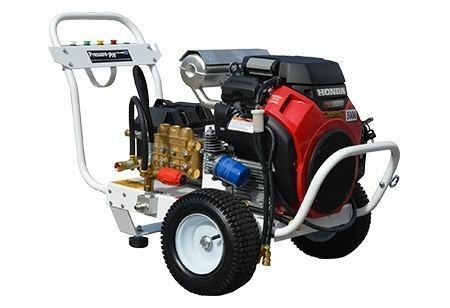 Buy hot water, cold water, electric, and gas powered pressure washers from brands like Hydro Tek, Magnum by Nilfisk, Karcher, Pressure-Pro, Mosmatic, Water Dragon, BE, and even Power Wash Store custom-built pressure washers. 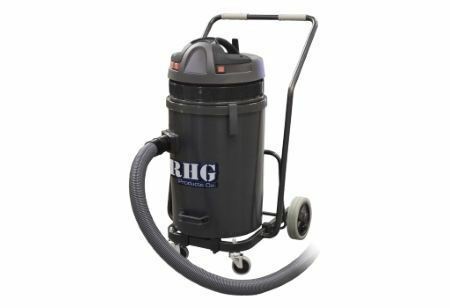 Stop by our shop for a free demonstration of the machines you need to clean off the dirt, grease, grime, and gum from any surface. You need a pressure washer, and you don’t want to buy one. Perfect. Power Wash Store of Central Pennsylvania will rent or lease on to you so you can finish what you start: hot water, cold water, electric, gas powered. Call the Power Wash Store whenever you need a pressure washer for a short period of time, and get the job done right. Call today to ensure availability and get pricing. 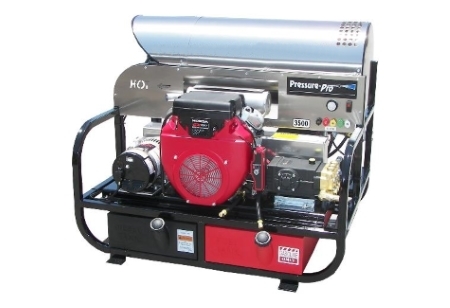 Power Wash Store in Central PA has engines, fittings, flat surface cleaners, generators, hose reels, hot boxes, lances, pressure hoses, pump repair tools, pumps, rotary nozzles, spray nozzles, trigger spray guns, unloaders, wash accessories, water filters, water reclaim systems, winterizing kits… Need we go on? We have it all, so you can do it all. Power Wash Store in Central PA has environmentally-friendly pressure washer detergents for any cleaning job: graffiti removal, wood restoration, rust removal, mold removal, gum removal, and everything else. 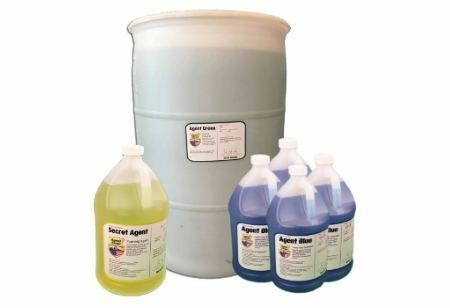 We even supply detergents for hood cleaning and grease removal, safe for indoor use. Stop by the shop and grab your pressure washer detergents today—mail order takes too long. You can’t repair your pressure washer online, unlike ordering a new machine. Come into the Power Wash Store of Central PA for a complete diagnosis of your pressure washer’s problems. If your problem turns out not to be one worth repairing, we carry used pressure washers, rentals, and brand new machines. Ask about your machine as a trade-in. Buy your used pressure washer from The Power Wash Store. 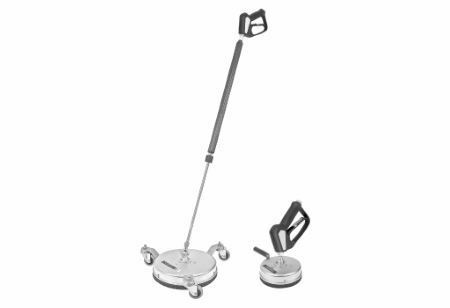 We give free product demonstrations before you make any purchase. Don’t take our word for it. 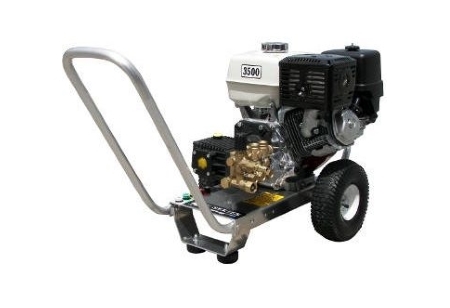 Stop by the shop today, and get a demonstration of your new, used, or rental pressure washer. It doesn’t make sense to buy or rent a product without first knowing how to use it. Let us show you how. Everything should be as environmentally friendly as possible. Pressure washers included. We carry equipment like water reclaim systems, berms, oil booms, and spill containment setups. That’s in addition to our already biodegradable pressure washer detergents. We do softwashing and pressure washing right. Call for more product information. The pressure washer you need isn't commercially available. It's not a prototype. So how do you get the machine and equipment you need to get the job done right? Call us today. 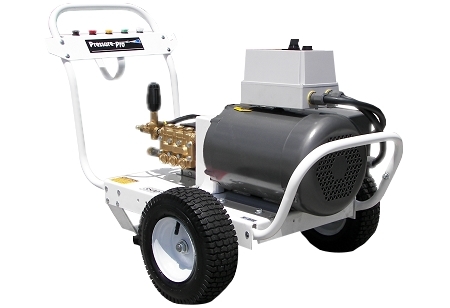 We build custom pressure washers and skids loaded with all the power and equipment you demand. Big or small. Skid or trailer. Hot or cold. Powerwash or softwash. Let's talk specifics. Owners of Power Wash Store of Central PA, Eric and Lisa Seitz, don’t just sell pressure washers, parts, and detergents. They use what they sell in their exterior cleaning business, Liberty SoftWash. After being in the washing business for years, they were given the opportunity to open a franchise location of their favorite supplier and Power Wash Store of Central PA was born. 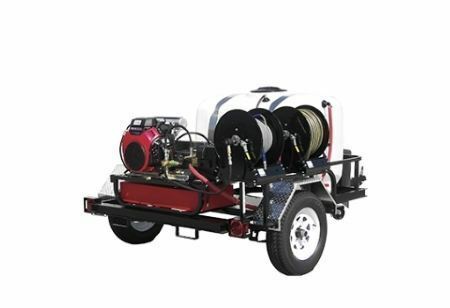 If you are looking to purchase pressure washing equipment or just looking to have some pressure washing done at your home or business, look no further. Liberty SoftWash specializes in low-pressure exterior cleaning known as soft washing. This cleaning technique is ideal for all types of surfaces around your home or business including vinyl siding, Dryvit, stucco and even your roof. Our safe and effective cleaning method will add instant curb appeal to your home or business. We service York, Lancaster, and surrounding areas in Central Pennsylvania and Northern Maryland.